Hitachi has just unveiled its lastest external hard drive creation the G-Drive Slim, that Hitachi say is currently the worlds thinnest external hardrive. Inside the sleek exterior is a super thin Travelstar Z5K320 320GB drive making the drive enclosure just 9.9mm tall and weighing only 5 ounces. 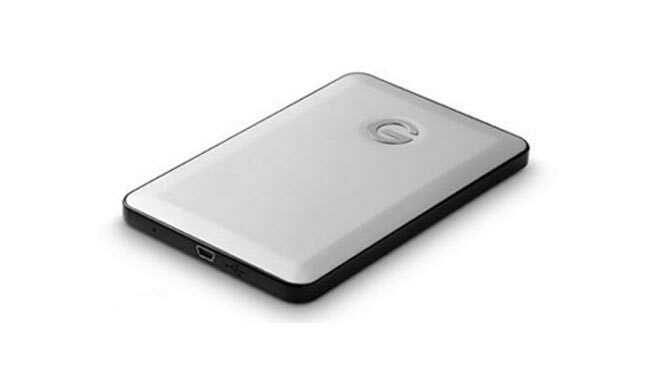 The G-Drive Slim has been designed as a companion to the new Apple Macbook Air. Its has shock-protected built-in and the aluminum shell acts as a passive heat sink keeping the drive cool. It comes pre-formatted for Macs and is USB 2.0 compatible. Its currently available to purchase from either Apple Stores or online for $100.